Is the Law No Longer Concerned with Tribal and Ethnic Identity? McDurmon begins chapter 3, “Where to Draw the Lines,” by correctly observing that all self-described theonomists believe that there are at least some precepts of the Mosaic Law that no longer apply after the coming of Christ. McDurmon cites Hebrews 7:12 and 8:10 to demonstrate that the change of priesthood with Christ’s ministry has brought about a change in the Law. These verses pertain to what is commonly called the ceremonial law, or those precepts regulating the worship of Israel prior to the coming of the Messiah. Now that the Messiah has come, the administrations of the types and shadows have ceased and have been fulfilled by Christ. The problem comes from McDurmon’s application of what these verses teach about the discontinuity of the Law. McDurmon discusses land and seed laws at the beginning of his important chapter, which intends to delineate between the continuity and discontinuity of the Law. McDurmon attributes laws regarding bloodlines and land inheritance as part of the ceremonial law that was intended to keep Israel distinct and separate from heathen foreigners. In responding to McDurmon’s claims, I would first like to comment on McDurmon’s approach to the Law as a whole. McDurmon acknowledges on page 29 that the historic Reformed confessions (and I would argue Christianity in general) has traditionally acknowledged the three-fold division of the Law into moral, civil, and ceremonial precepts that I mentioned before. While McDurmon acknowledges the traditional three-fold understanding of the Law, he proposes that in reality there is fundamentally a two-fold division of the Law, between those laws and precepts which still apply and those that do not. Indeed, McDurmon goes so far as to suggest, “With rare exceptions, no one has given a scriptural argument to support their positions of any other categories, or especially how particular Old Testament laws fit into them.”4 McDurmon contends that the meaning of “general equity” in the Westminster Confession of Faith5 also, as a body politic, He gave sundry judicial laws, which expired together with the State of that people; not obliging under any now, further than the general equity thereof may require.”] refers to laws that are generally applicable to all nations, while laws with only a particular equity are specific only to ancient Israel. McDurmon correctly notes, “The ‘general equity’ is not a spiritualized ecclesiastical application of judicial law, but rather that part of the law that reveals standards of righteousness, love, and justice not particular to Israel only, but generally applicable to all of mankind—including the civil state and civil justice.”6 However, I think that the term “general equity” is best understood and applied within the paradigm of the three-fold division. General equity or applicability applies to moral laws which are universal and immutable, as well as to laws that are peculiar to Israel but universal in principle. It is easy to see that laws prohibiting theft are universally applicable and the laws regarding Temple ordinances are abrogated, but I maintain that the third category, traditionally referred to as the civil law, is still a valid distinction. Earlier I mentioned Deuteronomy 22:8 as an example of a law specific to the circumstances of ancient Israel, but still with applications for us today in its underlying principle. I could also cite Deuteronomy 25:4, which forbids muzzling an ox that treads the corn. In its most specific form it simply prohibits cruelty or starvation to oxen that are used by farmers as beasts of burden, but we can certainly generalize this to all animals used as beasts of burden. However, there is also an even broader principle being taught here, the principle of just recompense for work. The Apostle Paul cites this very verse twice in his epistles, and both times he applies this principle to human workers (1 Cor. 9:9; 1 Tim. 5:18). Paul states in 1 Corinthian 9:10 that such laws exist for our sake, not merely for oxen or animals in general. This is called an a fortiori argument, which contends for a more strongly evidenced conclusion than one that is already accepted. In essence Paul is arguing that if God cares about the provisions for working animals, God cares that much more about the provisions for working people. Therefore, even though most people do not use oxen as beasts of burden today, the underlying principle of just recompense still applies. McDurmon’s fails to understand or affirm principles in laws that were specific to the circumstances of ancient Israel but continue to have abiding validity for today. McDurmon’s all-or-nothing approach forces him to throw out the proverbial baby with the bathwater. This problem is particularly acute in the way in which he deals with laws regulating inheritance, bloodlines, and tribal and ethnic boundaries. Let’s begin with McDurmon’s assertion about Galatians 3:27-29. McDurmon suggests that this passage indicates that “all the ‘seed laws’ of bloodlines and physical separations are gone.” He then ties this to the “one new man” comprised of Jews and Gentiles mentioned in Ephesians 2:11-22, and states that separation is now strictly between believers and unbelievers, citing 2 Corinthians 6:14-18. The problem is that McDurmon, like virtually all anti-Kinists who use this passage as their proof text, fails to take the male/female distinction mentioned in verse 28 into account. If the distinction of ethnic and racial distinction is no longer valid since the coming of Christ, could we not argue the same for the distinction of men and women? For example, Deuteronomy 22:5 teaches that men should only wear men’s clothing and women should only wear women’s clothing. While this law explicitly prohibits cross-dressing or transvestitism, the underlying principle is that men should act masculine and women should act feminine. McDurmon could just as easily have argued that this law and the principle behind it are now done away with Christ with the rest of the “separation laws,” because in Christ there is “neither male nor female.” Obviously the male/female distinction continues to retain importance within a Christian context since it is rooted in the created order itself (Gen. 1:27). The same can be said of national identity, because God has revealed that the division of mankind into nations was His providential plan from the beginning (Deut. 32:8-9; Acts 17:26-27; Rev. 21:24-26, 22:2). McDurmon is correct that 2 Corinthians 6:14-18 forbids unequal yoking with unbelievers, but this isn’t unique to the New Testament. A chief concern in keeping Israel separate from other nations was to maintain moral and religious purity among the people of Israel (Deut. 7:3-6). I find intriguing McDurmon’s statement, “The separation now is between Christians and non-Christians,” for anti-Kinists typically argue that the sole basis for the separation of Israel from other nations in the Mosaic Law was for religious reasons. Here McDurmon tacitly admits that, at least prior to the coming of Christ, the nation of Israel was separated from other nations as nations, not merely from unbelievers in general. Of course, the two reasons don’t have to be mutually exclusive. The children of Israel were certainly commanded to remain separate from other nations for religious reasons, but this doesn’t have to be the only purpose for separation. Laws such as the division of the land amongst the tribes of Israel are obviously dealing with an issue other than religious purity, since all the tribes of Israel have an equal share in the covenant promises. This segues into McDurmon’s comments about land and inheritance laws. I agree with some of what McDurmon is saying here. The dominion mandate was, from the very beginning, always given for believers to inherit and take dominion of the whole earth (Gen. 1:26-30; 9:1-3). The specific land promises which were made to Israel and which have been fulfilled were the beginning of God’s plan, but the prophets have long foretold a time in which all nations would worship the true God. All Christian believers, as true descendants of Abraham, are heirs of the whole world (Rom. 4:13; Gal. 3:29). My issue is that McDurmon seems to believe that the special commission given by Christ to his disciples, that they should disciple all nations, indicates that the existence of separate and distinct nations as such has become unimportant. McDurmon notes that the land promise of the Fifth Commandment is made without reference to any specific territory by the Apostle Paul in Ephesians 6:2-3, as it was when it was first given to the Israelites. He concludes that this is because the land promise is given in general to all believers who comprise the “one new man” of both Jews and Gentiles of Ephesians 2:15. McDurmon’s interpretation naturally raises questions. Are national boundaries no longer relevant at all since the coming of Christ? Or are we to expect national identity to fade away as the Gospel is preached throughout the world? Many anti-Kinists, such as McDurmon, have denied that they believe in a one-world society, but what does McDurmon believe to be the basis for multiple countries? I think that a better understanding of this is that Paul is telling all of his readers that fidelity to the Fifth Commandment will bring about security in whatever land or territory their people occupy. Paul does not assume that distinct nations have been or will be abolished, since elsewhere he affirms their God-ordained existence and purpose (Acts 17:26-28). There is a real sense in which all things belong to us as heirs of our Father (Matt. 5:5, cf. Ps. 37:9-11, 22; 1 Cor. 3:21-22), but this does not negate the fact that separate and distinct nations continue to exist within this paradigm along with distinct families. Interestingly, when Paul tells us that Abraham is heir of the world (Rom. 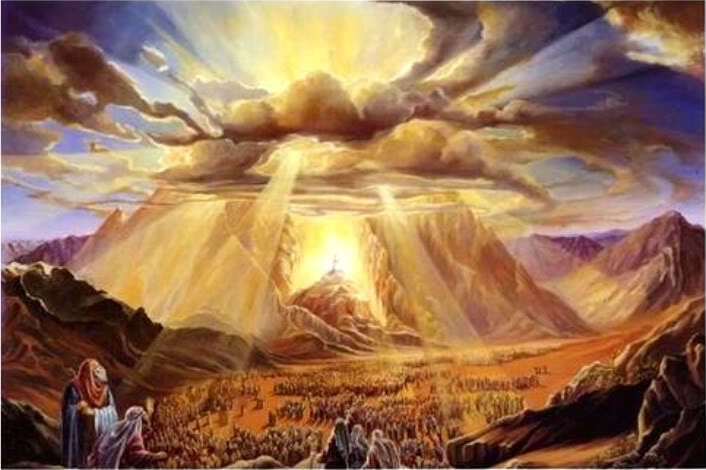 4:13), and the father of all believers (4:16), he also alludes to Genesis 17:4-6 in which Abraham is called the father of many nations (4:17). God Himself is said to inherit all nations (Ps. 82:8) who have Abraham as their spiritual father. This means that national identity within the body of Christ must be relevant; otherwise this particular fulfillment of the promise made to Abraham is meaningless. Once again, McDurmon’s exegesis raises questions. Why are laws aimed at preserving the distinct identities of the tribes necessary if the sole purpose is to demonstrate the fulfillment of promises made to two of the twelve? Couldn’t laws have been made simply specifically for the tribes of Judah and Levi? If Judah and Levi are the only two tribes of concern, then why mandate that land allotments remain within the tribes when the tribe of Levi is not even given a land allotment (Num. 18:21, Deut. 18:1-2, Josh. 13:33)? The specific promises made to the tribes of Judah and Levi are a certainly a component of the provisions for the tribes to remain distinct, but there is clearly a greater principle behind laws aimed at maintaining tribal distinction. Simply put, you don’t need laws which preserve the distinction of tribes in general if all that is important is the identity of the two of the twelve tribes. The only plausible conclusion that one can reach is that tribes themselves, as a subdivision of a larger ethnic community, have an intrinsic value worth preserving. By preserving inheritance within the broader clan, tribal identity is preserved across the generations. Laws such as the Jubilee cancellation of debt and the restoration of property also prevent land and resources from becoming consolidated in the hands of a few at the expense of their relatives and more distant family members. Laws governing inheritance may well have had a distributist aim, which favored families owning some productive property in the form of land. The law of kin rule likewise presupposes that a nation is comprised of closely related families that have a conscious interest in their common welfare. Since the Bible speaks of nations as tied to common ancestry, the law of kin rule demonstrates that there is an innately good quality to national identity beyond religious considerations. Kin rule is nonsensical within a framework of nations as geopolitical constructs comprised of a hyphenated citizenry. This makes far more sense of these laws compared to McDurmon’s unsubstantiated claim that the sole concern is for specific promises made to two of the twelve tribes. McDurmon seems to believe that because the specific case laws given to Israel are no longer binding, we have no reason to think that God seeks to preserve inheritance today. He displays an all-too-libertarian antipathy for inheritance, since inheritance can’t be earned. Given that national identity will always continue to be important in a Christian paradigm, I believe that we can and should apply the underlying principles of the inheritance laws to our own societies with the goal of preserving tribal and familial inheritances across the generations. Laws such as the Jubilee law (Lev. 25), in which tribal property could only be leased for a period of time but not permanently sold, are not specifically binding today, but I do believe that the principle of preserving inheritance within a family is still valid. I believe that keeping property within a family, ideally through a firstborn son, or if necessary through a tribally-related son-in-law or another relative, is in keeping with the biblical principle of inheritance taught in Numbers 27 and Numbers 36. Similarly, we can infer the importance of carrying on family inheritance from laws such as levirate marriage (Deut. 25:5-10), even though the specific requirement is no longer binding. The Apostle Paul inferred the principle of just recompense from Deuteronomy 25:4, even stating that this particular law and by extension seed laws in general are given for our benefit (1 Cor. 9:9-10). In a similar vein, I believe that we can infer the goodness of preserving separate and distinct hereditary lineages, tribes, and nations within mankind from laws like Leviticus 19:19 and Deuteronomy 22:8-10, which specifically pertained to breeds of animals and plants. Historically Christendom sought to preserve familial inheritances by seeing that estates and property could be transferred to a hereditary heir. Certainly Christian countries would not be selling land or estates to ethnic and racial foreigners as many Western countries do today. McDurmon cites John 1:12-13 and asserts, “We no longer enter covenant with God by bloodline but by adoption. The sons of God are not physical sons, but adopted sons, and Christ has been given authority to make them sons.”9 This is yet another example of McDurmon’s tendency to conflate the physical with the spiritual. McDurmon’s statement posits a false dichotomy between bloodlines and adoption. Both of these categories have always been and remain important. The saints of the Old Testament prior to the time of Christ were ultimately saved in the same way that we receive salvation. The Old Testament saints were justified by faith in the coming Messiah and made heirs of the promises of Christ by adoption (Rom. 9:4).10 It is true that covenant status and blessings were passed on through bloodlines, but it is strange to hear a Presbyterian arguing that this is no longer the case today. The Apostle Peter, preaching at Pentecost, taught that the promises of the covenant given in baptism were for believers and their children (Acts 2:38-39), and this is the same function that circumcision served under the Old Covenant (Col. 2:11-12). Likewise the children of believers are said to be holy (1 Cor. 7:14). It is pure sophistry to try to separate the concept of children from bloodlines, modern efforts to do just that notwithstanding. There is no basis for compartmentalizing our relationship to our children from physical and biological parentage, as the numerous instances of “begat” in biblical genealogies makes abundantly clear. While our blood lineage does not save us, it nevertheless has a very important role to play in the covenant. In summary, McDurmon presents a view in which all considerations of hereditary lineage, familial inheritance as tied to tribal identity, and kin rule no longer apply today and are therefore entirely abrogated. McDurmon extrapolates this from a handful of texts which he oversimplifies and overgeneralizes. Christ and the Apostles speak on several occasions of nations in such a way that conveys that they still have meaning in God’s plan. We are told that Christ has redeemed his Church out of every kindred,11 tongue, people, and nation (Rev. 5:9, 7:9). This would not be impressive if these distinctions are no longer relevant to one’s identity. McDurmon’s all-or-nothing approach regarding the continuity of the precepts of the Old Testament too often leads him to conclude that most of these laws have no application for Christian society today. While it is obvious that many of the precepts of the Mosaic Law specifically pertain to the ancient Israelites and thus no longer apply to us today, it is also the case that most of these laws are based upon universally applicable principles. McDurmon’s failure to properly apply the concept of general equity has caused him to overlook many of the principles conveyed in the Law. These types of applications are made by the Apostles in the New Testament and can easily be applied to nations and tribes today. Next, we will analyze McDurmon’s comments on the role of civil government in punishing crime.